What is the Schools Program? Sydney Dance Company’s national Schools Program supports dance education for all ages through curriculum relevant programs for primary and secondary students and career focused study for pre-professional dancers and university graduates. The Program connects schools, teachers and students to leading professionals in the dance industry, providing invaluable insight, opportunities and role models. 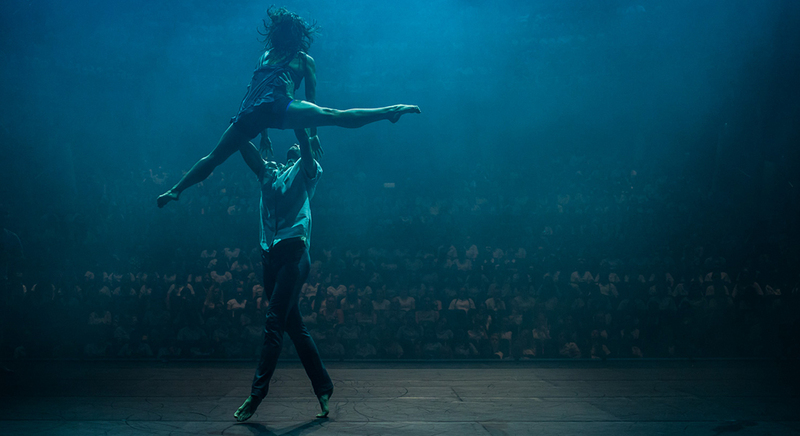 Sydney Dance Company inspires, excites and creates connections through contemporary dance of world-stage quality. Download our 2018 Schools Program Brochure and donate to the Program below. Sydney Dance Company is committed to providing a safe, nurturing, stable and secure environment for children. We believe that the welfare of children participating in our programs is of the highest priority and we foster practices to support children’s health, developmental needs, self-respect and confidence. You can download our Child Protection Policy and our Values and Expectations for children participating in activities with Sydney Dance Company below. We are always looking for feedback on our programs and activities for students and we encourage children and adults who participate in Sydney Dance Company’s programs to please contact us with any feedback or with any questions you may have. Teachers who participate in workshops and matinees with Sydney Dance Company will receive an evaluation form to fill in and return. Do all your Staff have a Working With Children Check? All staff members who work with children are required to provide a valid Working With Children Check. No individual may be employed to work with children, by law, who do not hold this Working With Children Check. What kind of supervision will my child have when they attend a Sydney Dance Company program? Children will be checked off and their parent or carer will be asked to confirm their emergency contact and medical information if required. Children will be required to go to and return from the toilet in a minimum of twos at all times. Sydney Dance Company has public change rooms and toilets (similar to those in a public swimming pool). Children will need to be collected from the studio by a parent or carer who will need to make themselves known to the supervisor in charge. Lunch breaks will be supervised by a member of staff inside the studio or on the breezeway. A staff member will also assist with access to the café. Any child or young person with a special need such as allergy or injury shall be introduced to the supervisor in charge and their needs discussed and shared with teachers and assistants where appropriate. Roll call is taken at the beginning of the day and again at lunchtime to ensure all children who are expected to be present are accounted for. If your child is attending a Sydney Dance Company event as part of an organised excursion with their school, classroom teachers will supervise and usual excursion rules and policies as outlined by their school will apply. What is your Photography and Social Media policy? Sydney Dance Company will only use photos/videos of children where permission has been granted by the child and by their parents or legal guardians. Images and/or footage of children will only be utilised on official Sydney Dance Company sites or marketing material. A child or parent of a child is, of course, free to choose not to provide permission to photograph their child – participation in Sydney Dance Company’s programs does not depend on whether or not permission has been granted.